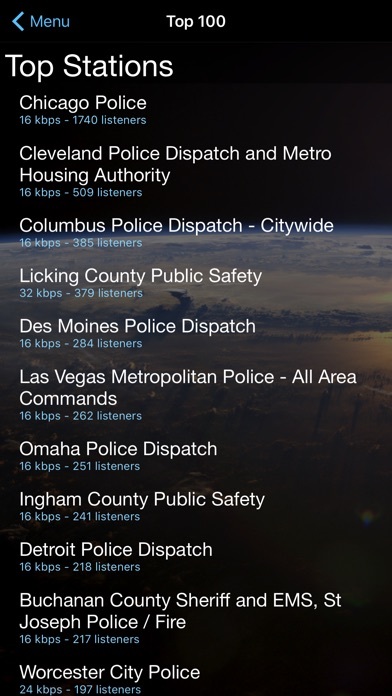 50% Off Sale Today Only The most updated and #1 rated police scanner app now has the most stations available. 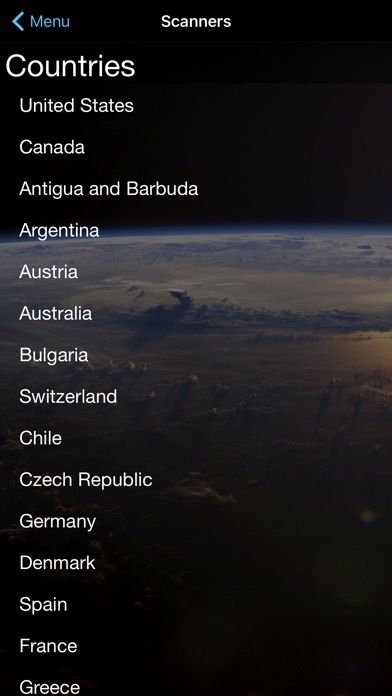 Upgrade now and gain access to exclusive feeds with new ones added daily. 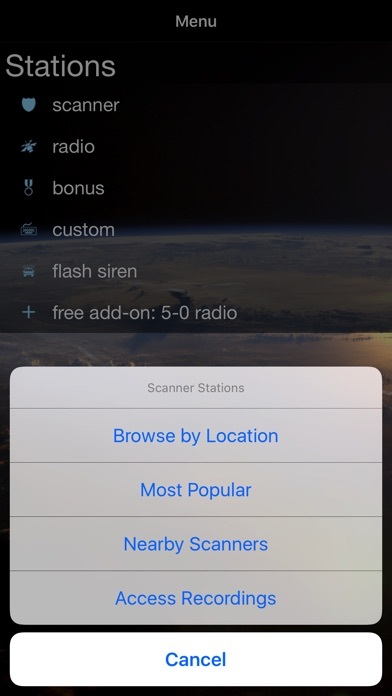 Find out why the new Police Scanner+ app is now everyone's favorite app. FEATURES: - The largest collection of police, fire, EMS, airport, railroad, comedy, talk, and music stations. 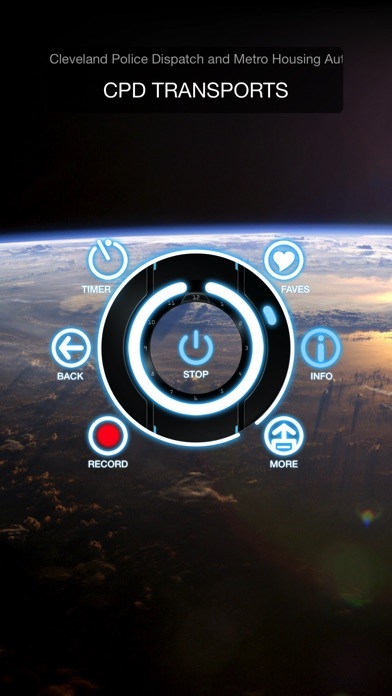 - Record stations for future playback and for emailing an mp3 copy to yourself or others - Set an alarm in the app and wake up to your favorite station - Listen to our app while you sleep and set a timer to stop the station at a certain time - View the current artist and song name that is playing - Run the app in the background and do other things on your device while you listen to the app - Choose your own background from your photo library - Chat with other listeners - Tweet the station and song you're listening to your Twitter followers - Notifications are enabled to notify you of the current song that the station changed to while the app is in the background - Save a station to your favorites for quick and easy access - List and search radio stations by popularity, genre, song name, and artist - List scanner stations by popularity and location - Use your device's GPS to easily find stations located near you - The screen glows blue and red on the bottom to the beat of the music or whenever someone talks - The rings in the center of the player act as a clock - Add your own custom stations - This app is compatible with most iPod/iPhone docks, bluetooth devices, and other iPod devices Why Upgrade? 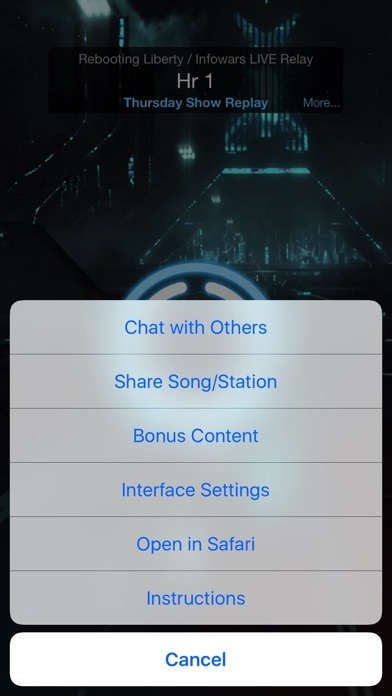 - Remove ads - Get bonus feeds (more airport, music, railroad, weather, and police feeds) - Police siren (lights & sounds) - Exclusive stations - Early access to newly added stations - Localized police codes - Download new themes/backgrounds - Gain access to scanner station archives (listen to recordings from up to 30 days ago) - Support the indie developer community Your purchase will directly contribute to the indie app developer community and help maintain our servers. Thanks for your support!